Back to Bolzano © which focuses on building that builds buildings with a strong sustainable character and greater living comfort. The fair opens its doors from 23 to 26 January 2019. 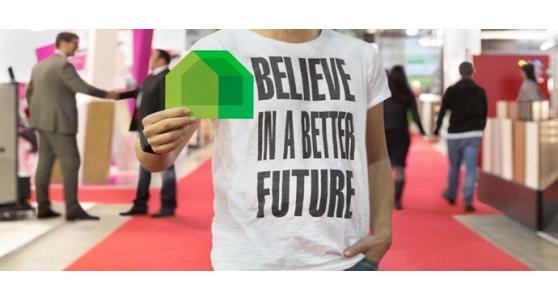 The Klimahouse 2019 edition, whose primary objective is energy efficiency and renovation in buildings, has attracted the participation of 460 exhibiting companies and has reached the interest of 35,000 visitors. The entire area of ​​the exhibition center is complete, the sold out has left at least 100 interested parties to participate on the waiting list. Klimahouse plays a key role for all those companies that wish to become benchmarks for energy efficiency. South Tyrol has an ambitious goal, the 2050 Alto-Adige Energy Climate Plan, which aims to reduce consumption for every inhabitant of the Region, bringing it to less than 2,500 watts per year, by 2020. In Italy, South Tyrol , holds an example position in terms of the use of renewable sources and innovation towards greater sustainability. At Klimahouse you can learn about the techniques and experiences of companies that have developed their expertise in South Tyrol. On display are prefabricated houses and elements to build them, windows and heat insulation, thermal insulating doors and doors, materials and solutions for thermal and acoustic insulation, fabric, wood and cork flooring, roofing and roofing, renovation tools , heaters, boilers, geometry, underfloor heating, ceiling, wall, ventilation and cooling systems, energy-saving air-conditioning systems, solar technologies and wind power plants, regulation and measurement systems. Klimahouse showcases the best technologies for a more sustainable building future, giving experts and professionals, tools and advice to develop new buildings that respect more the nature and man. The fair is also open to new recruits, in fact, the organizers have induced a call to present new ideas in "green" style. The proposal is aimed only at under-35s, ie university students, students, professionals, creative people and Italian graduates. Objective is the ecological culture of construction, we are looking for proposals for projects and prototypes that imagine the new home of the future, closer to nature and which can interface in a more organic way with open spaces.